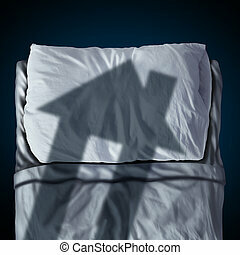 Dream house symbol and dreaming of a family home as a cast shadow of a residence on a bed and pillow as a real estate planning or insurance mortgage worry in a 3D illustration style. 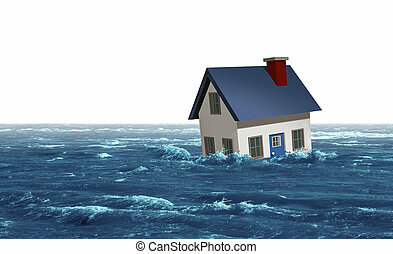 Flooding house and flooded residence concept as a home being swept away from a storm flood with 3D render elements. 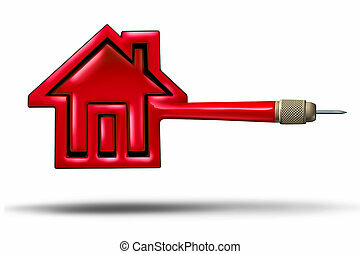 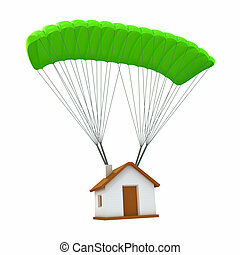 House target real estate buying or selling concept as a flying red dart shaped as a home as housing mortgage rates metaphor for realtor target as a 3D illustration white background. 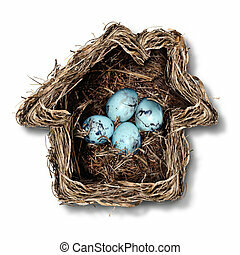 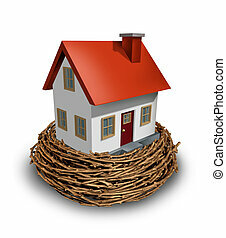 Home insurance concept and family security symbol as a bird nest shaped as a house with a group of fragile eggs inside as a metaphor for protection of residence or parenting. 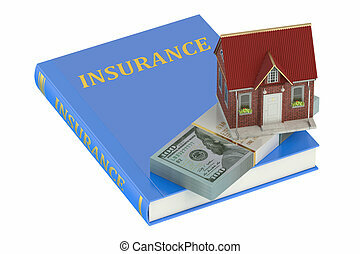 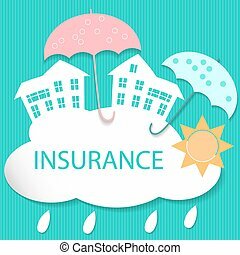 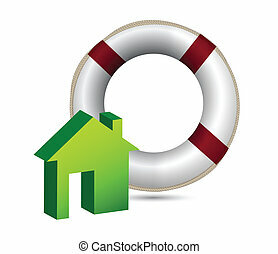 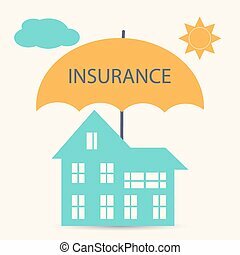 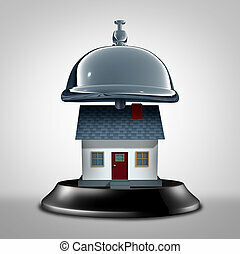 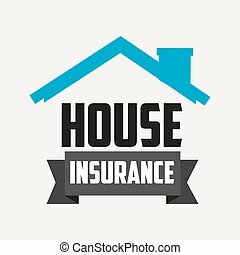 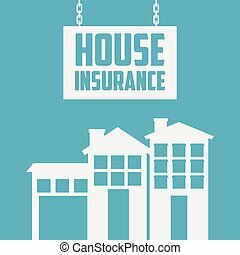 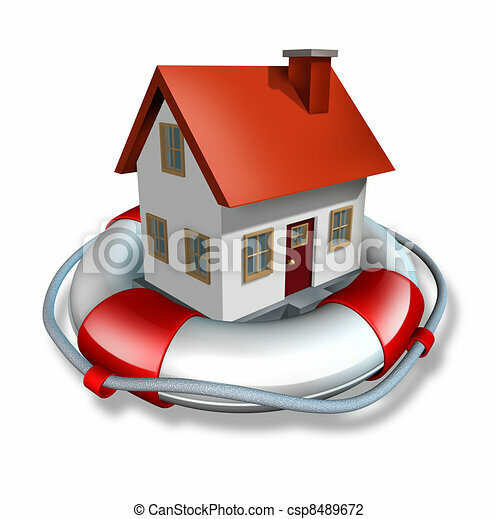 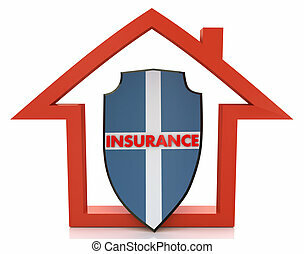 Home services symbol and residential care assistance as a service bell with a house as a maintanance and insurance assistance metaphor as a 3D illustration. 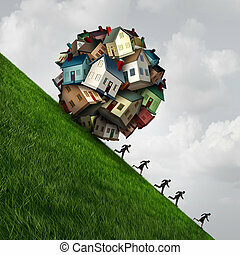 Real estate stress as a group of family homes shaped as a dangerous falling ball as a symbol for a housing or house construction industry problem with 3D illustration elements. 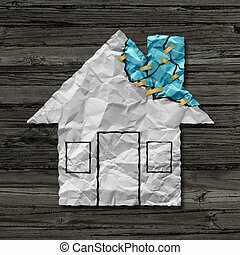 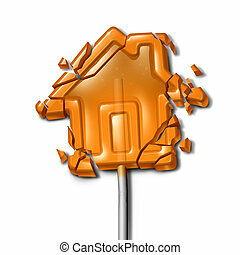 Broken Home concept as a shattered candy lollipop shaped as a troubled house as a family crisis symbol or financial foreclosure due to overdue mortgage loan and debt with 3D illustration elements. 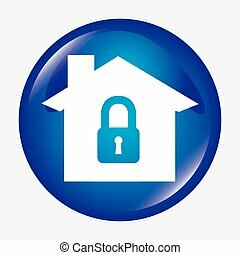 Home Investment as safe investing in a real estate nest egg or a financial concept of saving for a house and residential equity planning to save for the construction of a dream home of the future. 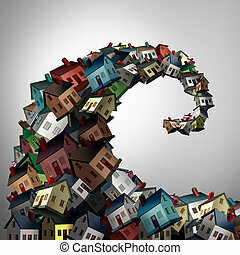 Housing crisis concept as a group of family homes shaped as an ocean wave as a real estate or residential property metaphor for risk and debt danger as a 3D illustration. 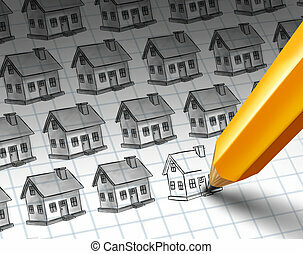 Construction increase and growing residential community concept as a sketch with multiple homes and a pencil drawing more homes as a real estate or housing investment economic activity with 3D illustration elements. 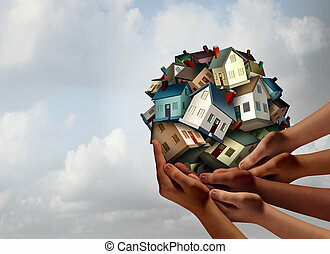 Social housing concept and supportive home ownership symbol as a group of diverse hands holding many family homes as a metaphor for supporting neighborhood togetherness. 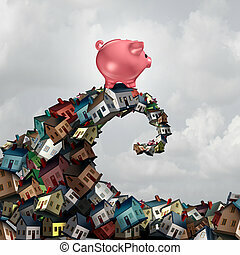 Real estate mortgage lending concept as a piggy bank riding a housing wave as a family home renovation or buying budget symbol as a 3D illustration. 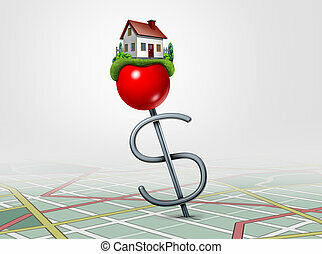 Real estate investing and finding a family home property concept as a 3D illustration.